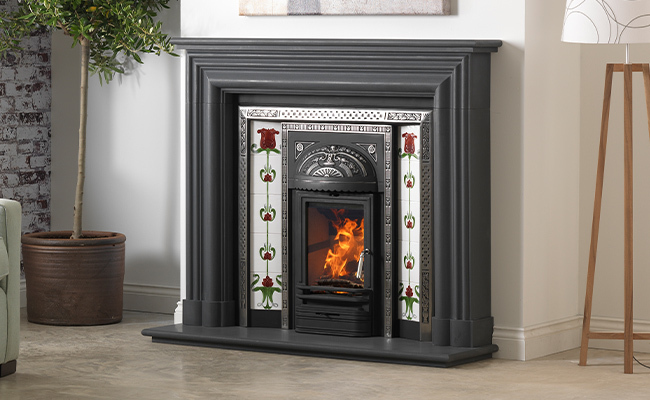 The Aston Integra is a traditional tiled insert with an attractive patterned design. 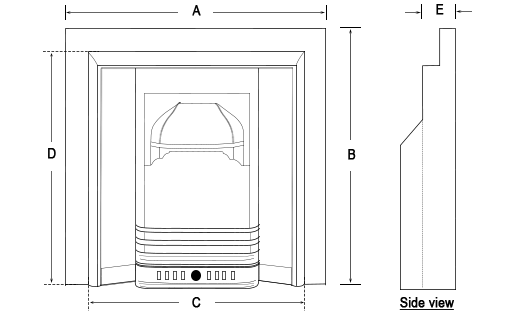 Shown here in a highlight polished finish, the Aston is also available in a matt black or antique (graphite) finish. 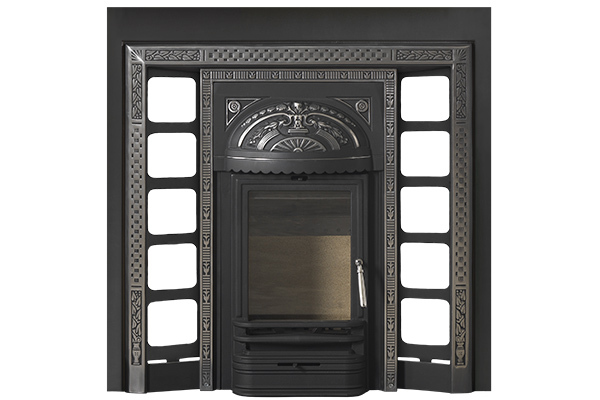 The Aston is displayed with the Brampton mantle in solid oak (with light oak finish), a Flag Iris hand painted tile set in blue and ivory and with a honed black granite hearth. 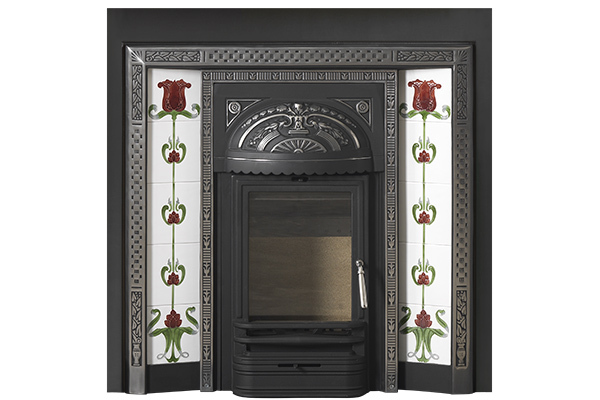 Our full range of hand painted tile sets and cast-iron sleeve alternatives are shown on the tiles's page. 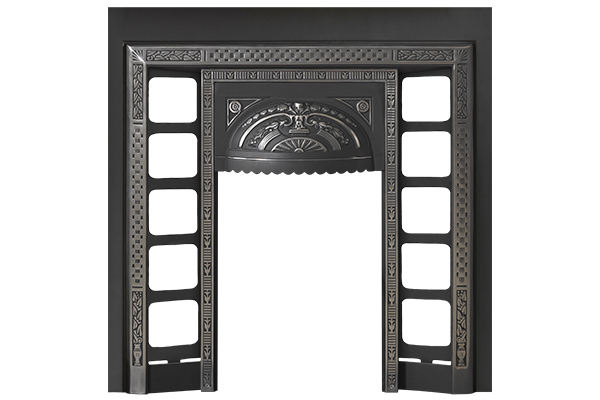 Our full range of oak mantels can be seen on the mantel's page.